Berlin, Germany. October 20, 2002. A clear, crisp, cold day, with autumn winds blowing in from the east. At the Intercontinental Hotel on Budapester Strasse, located in what 13 years before was part of the American sector of a divided Berlin, the World Congress of History Producers 2002—hosted by the German network ZDF and organized by the Banff Television Foundation—was getting underway. The Congress attracted delegates from Europe, Canada, the United States and Australia, among them commissioning editors, distributors, producers and directors, as well as independent producers just finding their way. For Banff Television Foundation President Pat Ferns, the Congress was trying to establish a franchise that would emulate the success of the World Congress of Science Producers, also under Banff's aegis, and also taking place in Berlin later that week. "We felt that the Science Congress was one of the best events of its kind because it was really serving a community and it was a very strong genre," Ferns maintains. "We looked at our own [Banff] festival and determined that the growth area in terms of programming was history and biography. If we have a format that works, let's try launching a World Congress of History Producers. The first person I called was Henry Becton at WBGH. He immediately said, ‘We want to do it, and we'll do it in Boston.'" So in the fall of 2001, in the shadow of Sept. 11, the World Congress of History Producers was launched in Boston; the World Congress of Science Producers took place in Washington, DC. Both Congresses were successful enough to attract interest from both ZDF and another German network, ARD. "Very early on," Ferns explains, "ZDF communicated to us that it would like to do the second one in Berlin. We were already working with ARD to put Science there. And we thought there'd be efficiencies in putting the two of them into one hotel. People from Australia, for example, could come and spend the whole week and do both history and science. And those two genres seem to have a fair amount of overlap for producers. A living history production like The 1900 House, for example, was actually conceived as a science program." 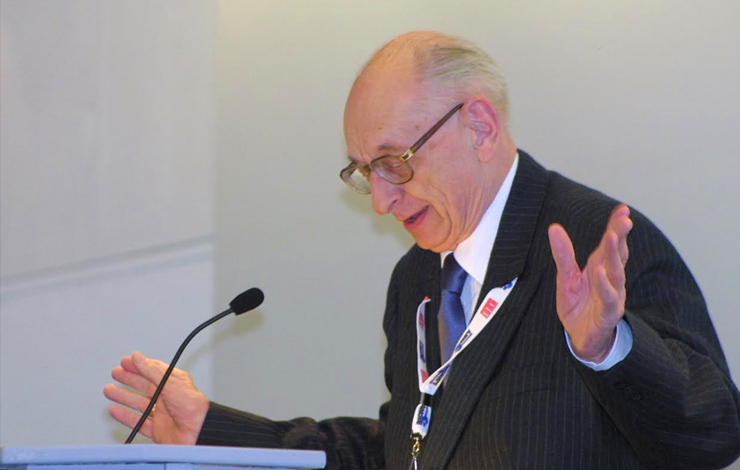 Kicking off the Congress was a keynote address from Professor Wladyslaw Bartoszewski, the former Minister for Foreign Affairs in Poland; in addition he was a member of the Polish resistance against the Communists and an Auschwitz survivor. He was well qualified to observe the forces and importance of history and the development of "the historical consciousness." Bartoszewski's address set a tone for the next three days of exploring the ideas of history and biography in the context of documentaries, and having the Congress in Berlin provided more than a backdrop for discussions and presentations in the formal sessions. This city had been the epicenter of the Cold War, brought on by the rampaging Third Reich of Hitler, the resultant Holocaust and the absolute defeat of the Nazis in World War II. Then, a defeated Germany and Berlin divided into sectors to be governed by the Soviet Union, the United States, Great Britain and France. All this history culminated in the fall of the Berlin Wall in November 1989. The Congress had a special screening of Berlin Metamorphoses, a documentary I had completed just weeks before, that tells the story of the transformation taking place in that city. Working with a camera team from Berlin, we started filming in September 2001 and finished at the Brandenburg Gate on October 3, 2002. I have been making films about Germany and Berlin since 1988, so it was good to have the opportunity to bring the documentary "home" to be screened—and acquire some fresh ideas and find a potential partnership. In this historical context, the opening discussion, "National Traumas: The Third Reich and Beyond," focused on how to address the dramatic stories about nations having been split up. There can never be enough ways to examine these stories. They are not only about the past, but about our present and how nations function-and are warnings for the future. Other sessions dealt with related topics. "The Unknown East: The Making of History in Russia" and "Stalin as Seen by..." included presentations by speakers from "the former East." Those presentations were important in helping develop ideas for making documentaries with a different view of the world. I have filmed in Eastern Europe and Russia and producers and directors in these countries not only have stories to tell, but after 1989 they have the desire, ability and talent to do so. The next day, issues dealing with re-creations, and where one draws the line on them, took center stage. As the discussions played out, it was clear that the question of re-creations depended, in part, on the country in which one is working. In the sessions, some expressed anguish over some of the approaches to re-creations. Some of the clips shown—a young Hitler riding a bicycle, for example—seemed a bit over the top as far as creating a scene to represent or depict the story. There was dissent, of course, and even a question on the part of the presenter of the film clip as to whether it should have been done. The German position was keeping more with a sense of "purity" of story, not using re-creations; it was interesting to see examples where the British are outdoing Americans in terms of entertainment value in re-creation. Obviously, the struggle to define and find the proper line not to cross has become increasingly blurred by the demands of the marketplace and the ongoing search for audiences. In many ways, the Congress presented the opportunity to explore re-creation from different cultural perspectives. "If you look at the world, there's a whole continuum where once you start re-creating and dramatizing it, you are putting words into the mouths of people that resonate with an audience," Ferns observes. "They think that is the truth and that is history. It may just be one person's speculation on what might have happened in such a circumstance." For the many delegates who go through the struggles of funding and developing new projects and continue to search for distribution outlets, the Congress offered sessions devoted to these topics, as well as the chance to discuss ideas with those who make the decisions. In a session entitled "History on a Budget: Doing More with Less," producers from the UK, Canada and the United States discussed the production company model of a staff, several ongoing projects and overhead. But several participants pointed out that many different models can operate in this fragmented world of production and distribution. "My career was devoted to co-production," Ferns recalls. "Canada is a small market and therefore you have to find partners if you're going to produce with budgets comparable to what you have in the States. If you're going to be creatively competitive, you have to find a business model that can work. What's happening now is that with each new technology, you're getting more and more fragmentation. Budgets are going down and the choice you have to make is either to aggregate a number of different windows and sources of finance so that you can keep the budgets where you want, or to find younger people working with smaller budgets and newer technology who find other ways to tell their stories. "But I think that particularly in factual programming, the digital revolution has enabled us to do a lot more re-purposing, reformatting and re-versioning," Ferns continues. "That works a lot easier in factual programming than it does in drama." Of course, a large part of the gathering was for the contact, as well as finding ideas for programming and making connections for possible distribution deals. Future Congress attendees should not go with the expectation of selling a project, but rather as an opportunity to meet new people and gain different perspectives on the state of documentary-making around the world. "These markets are a way of bringing an international community together," Ferns maintains. "But because they're peripatetic markets, it's a chance for people to find out about the German market where they probably hadn't bothered to before. That's part of the international spirit." The next Congress will be held in Paris in December 2003. For more information, go to www.btvf.com. Robert E. Frye has been an independent documentary producer for 15 years, prior to which he was an award-winning producer at ABCNEWS and executive producer of World News Tonight. He can be contacted at ThinkMedia@aol.com.